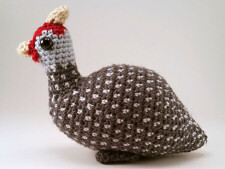 Buy a finished piece crocheted by a PlanetJune customer! Although I don't have time to accept personal commissions for finished items, my customers are welcome to sell finished items based on my designs. 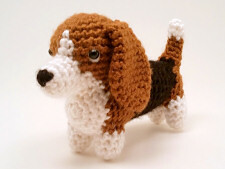 If you're looking for a crocheted PlanetJune toy, browse the current PJ listings on Etsy (more info below), or you can buy or commission a piece directly from one of the artisans featured on this list. Disclaimer This is a free 'matchmaker' service to help PlanetJune sellers and buyers connect. The sellers listed below are independent crafters and not affiliated with PlanetJune in any way. Please note that although other people work from my patterns, they will not create exact replicas of my work - this is the nature of handcrafts, that no two pieces are exactly alike. I do not profit in any way from this list. 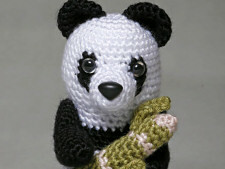 My only role here is to give you the option to contact crocheters who may be able to provide what you're looking for. Any contracts you enter into with any of the crafters below are between you and the crafter - I will not act as an intermediary, collect any commissions, or offer any guarantees. 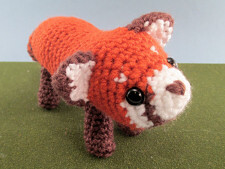 I make no claim as to quality of work or service, or how other crocheters' work compares with my original designs. 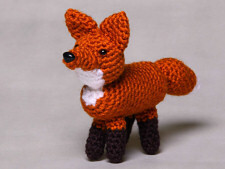 I cannot be held responsible for others' work, so I suggest you look carefully at the crocheter's previous work before deciding whether to commission them. 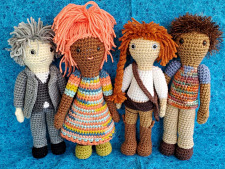 Search Etsy for 'planetjune' and you'll find lots of ready-made and made-to-order listings for toys based on PlanetJune designs, crocheted by various artisans. 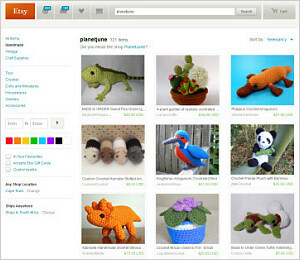 The screengrab pictured here shows a sample Etsy search (these particular items may no longer be available). • See my terms for selling items made from my patterns. 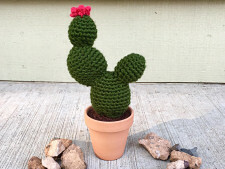 Below, you'll find seller profiles and a selection of example products from my customers who'd be happy to sell you items they make from PlanetJune patterns. If you have any questions, or want to request a custom order from one of the artisans, please click through to their shop and contact them directly. I love the realistic and cute results of PlanetJune patterns and I am very proud to sell finished works from her patterns in my Etsy shop. I have many ready to go items, but I am happy to make custom items as well. I pride myself in quality finishing, good communication and quick shipping. Stop by and see what I can make for you! 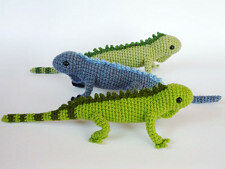 I specialize in Fruit Bats, Iguanas, Farmyard Pigs and Sea Turtles, as I have made many of each pattern, but I am willing to take custom orders for any PlanetJune pattern. 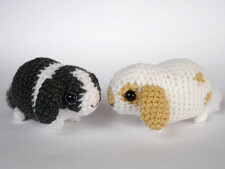 I have made almost all the PlanetJune amigurumi patterns and enjoy every single one. I specialize in AmiDogs, but am willing to create any PlanetJune design! Most of my plush are made to order, but I work fast (but carefully) to get items made and shipped as quickly as possible. Pre-made items will ship immediately, getting to you even faster. I also gladly accept requests for custom orders. 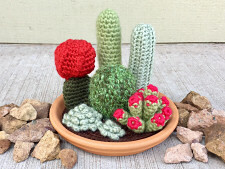 My PlanetJune specialties are Cactus and Succulent collections. 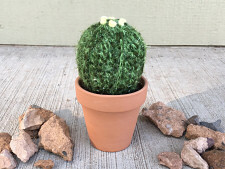 I have both ready-made and made-to-order items, and I also accept custom orders for different sizes, colors, and additions to the plants! 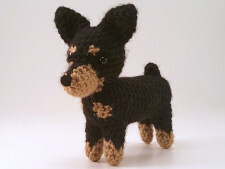 Personalized pet portraits are my specialty, but you will also find many ready-made amigurumi in my shop and I'd be happy to take commissions for any other PlanetJune patterns. 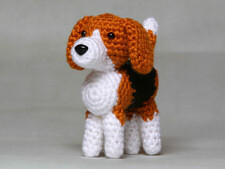 Made to order AmiDogs and other designs in the shop, customized to your specifications. Custom orders of all PlanetJune designs available on request. List members: have your details changed? Please email me so I can update them! 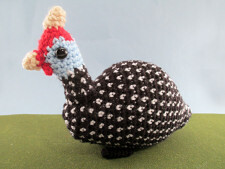 PlanetJune customers: do you have an online shop or webpage where you sell items made from my patterns? If you'd like to be included in this list, you must maintain at least 5 PlanetJune-designed items for sale (either ready-made, or available to be made to order). 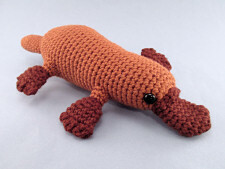 Help with Pricing: Not sure how to set a reasonable price for your crocheted items? 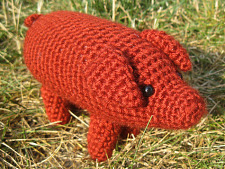 See my Pricing Amigurumi article for my tips. How to add your shop If you'd like to be added to the list, please email me with the following info. Your first name, your shop name, and your shop URL. It doesn't have to be an Etsy shop, but, to be valid, the webpage you link to (your Etsy shop, another online shop, a Facebook page, or another webpage) must show your PlanetJune items - items currently for sale and/or past sales - and clearly explain how customers can order PlanetJune-designed items from you. A short description: a sentence or two about the PlanetJune items you sell in your shop. For example, include a general idea of which PlanetJune patterns you sell, whether you have items ready made or make all items to order, whether you're willing to accept commissions for items NOT currently for sale in your shop (same designs in custom colours, and/or other PlanetJune patterns), and anything else it would help potential customers to know. To be added to the list, your finished items should look reasonably close to the samples from my patterns, within the limits of handmade variation - that's what shoppers using this page are looking for (possibly with customizations to match their requirements more closely). Your sample photos for your listing should represent my patterns crocheted by you (with no changes to the pattern). Try to pick a varied and eye-catching selection that will give potential customers a good sense of your skill and the types of items you prefer to make. If you specialise in (for example) only one PJ design, your photos can all be of that design, but it must be clear that your photos are of 3 separate items you've made (e.g. 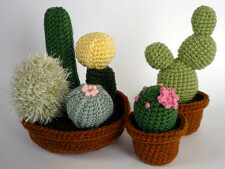 all crocheted in different colours) and not 3 photos of the same item. 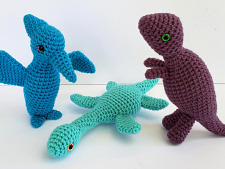 If all your photos are dinosaurs, your listing can only say you accept custom orders for dinosaurs. If you want to say you'll accept commissions for any PJ pattern, at least one photo must show a more advanced PJ design, e.g. one with multiple/complex colour changes. Note: To keep this page most useful for buyers, sellers whose websites consistently fail to maintain 5 PlanetJune-designed items for sale will have their listing removed. I'll keep your details though, so just email me if you resume selling PlanetJune items, and I'll reactivate your listing! Remember, you're welcome to sell items made from any of my patterns, provided you comply with my simple terms!